Balasinor , located in the Kheda district in Gujarat was a princely state of the Babi dynasty. This princely state has always fascinated tourists to come and explore its serene surroundings. The small town is dotted with a large number of historic monuments scattered all around the city to testify its historic glory. 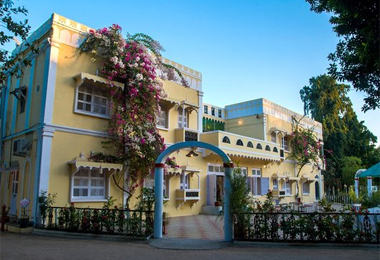 While exploring this tiny town, consider staying at the erstwhile residence of the royal families which is being run at the heritage hotel by the members of the royal families. The heritage hotels of Balasinore are a fun place to experience the impeccable and personalised hospitality. These hotels make you feel splendid as they are set in the midst of fine gardens, agricultural fields and orchards. The visitors are sure to love their stay in the tastefully designed rooms. The room service is available round the clock and the staff is well trained to cater to the needs of guests at the best. All the rooms feature an attached bathroom along with hot running water facilities. The other facilities to take a note of include doctor on call, travel arrangement, car rental, currency exchange, STD and ISD facilities, light and sound shows organized, Ayurvedic massages along with laundry and dry cleaning. So next you plan for a vacation visit Balasinore and choose with one heritage hotels listed on the Heritagehotelsofindia online portal to avail great discounts.